Todays recipe is adapted from La Mia Cucina, the blog that belonged to the original Daring Baker, Lisa Cifelli. 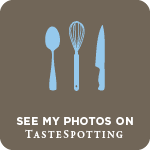 She recently passed away and in her memory many Daring Bakers and old time bloggers posted gorgeous bakes soon after... 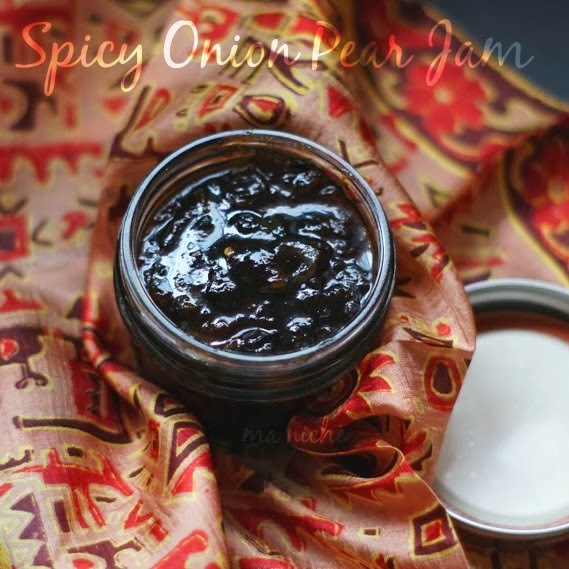 I did not know her personally or even otherwise but was led to her space and this particular Onion-Pear Jam several times in the past few weeks. It looked too interesting to pass off. So I adjusted today's menu and decided to give it a try.. It turned out even more gorgeous than I had imagined. The original recipe is from Peabody and she says that Lisa apparently loved it so much that every year she would make a Bluecheese cheesecake with Pear-Onion Jam for her Christmas parties. I wasn't very keen on making a cheesecake today, so I simply served it over herbed Manchego cheese souffle and we devoured it like there was no tomorrow..
Heat the olive in a small saucepan. Add the chopped onions and cook till they have browned. Add the pear, brown sugar, pepper, vinegar and salt and cook till the pear is well cooked and can be mashed with the back of your spoon. 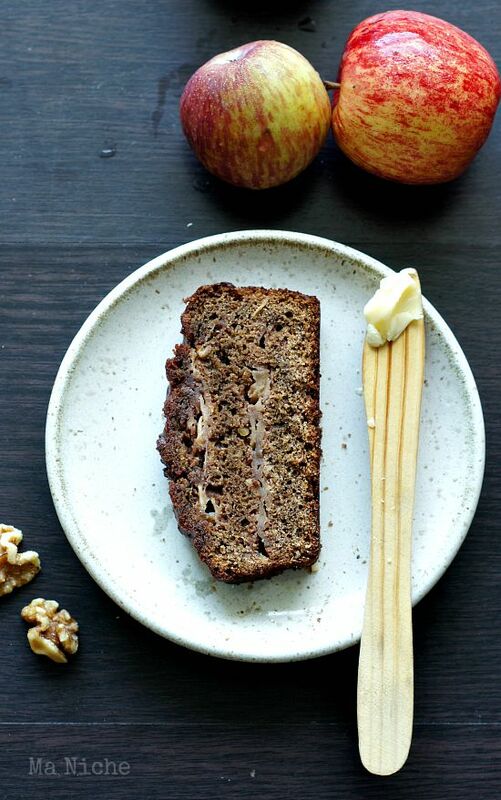 If your pear is ripe enough, it should not take more than 5-7 minutes else you might have to cook longer. Simmer few minutes more till the mixture begins to look glazy. Then switch off the heat and spoon the mixture into a sterilized jar. 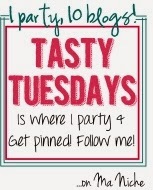 You are all invited to join our party Tasty Tuesday, now hosted on 10 fabulous blogs..
Its a party where every recipe gets pinned !! 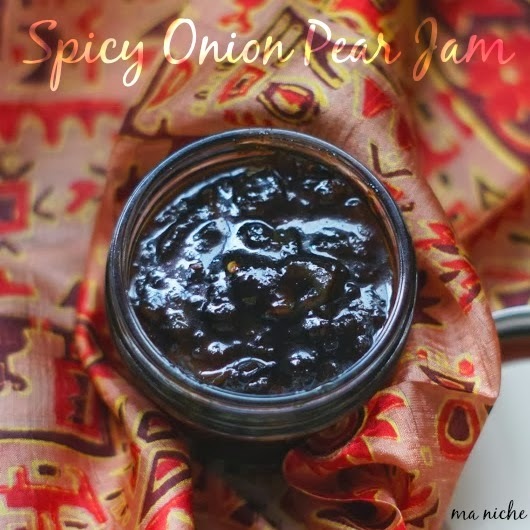 wow jam with onion sounds very interesting :) and looks super delicious dear !! Thank you Tanusree for stopping by Soup Spice Everything Nice today! I am thrilled you will feature my Almond Cheesecake at Tasty Tuesdays. 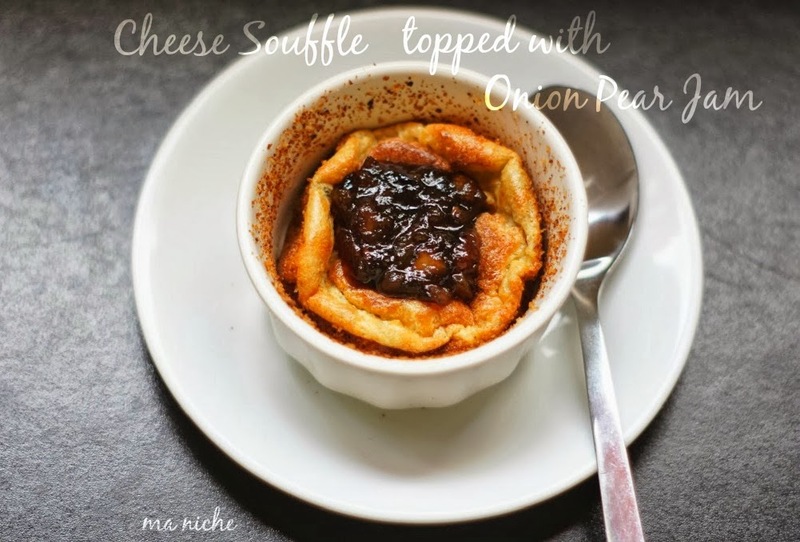 I am really excited to be following your blog and this Spicy Onion Jam recipe. I love savory and sweet together. Have a lovely week!